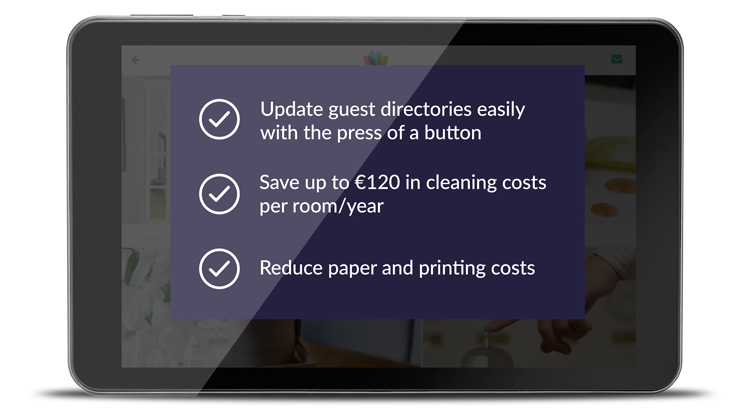 Replace your traditional guest directory and inspire your guests. 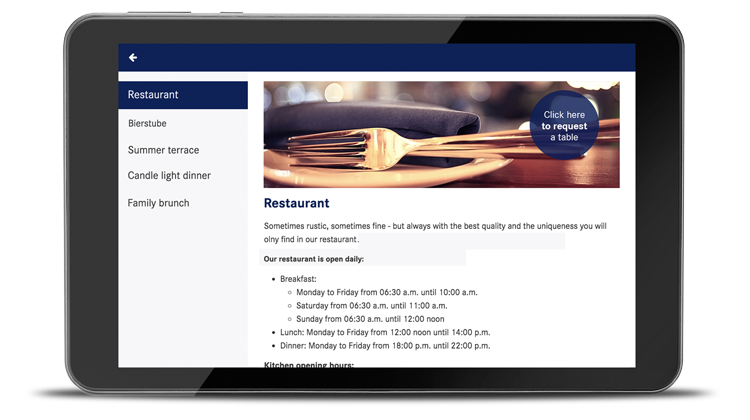 Give your guests access to all the important information about the hotel and surrounding area at a glance. Inform them about new hotel offers, services and latest events, and actively promote these through personalised push notifications. 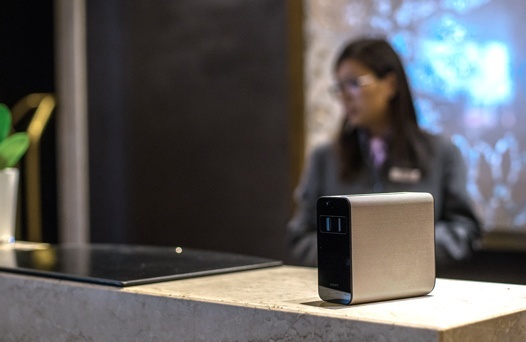 Be at your guests’ disposal to quickly and flexibly cater to their queries, requests or complaints – including in their room. 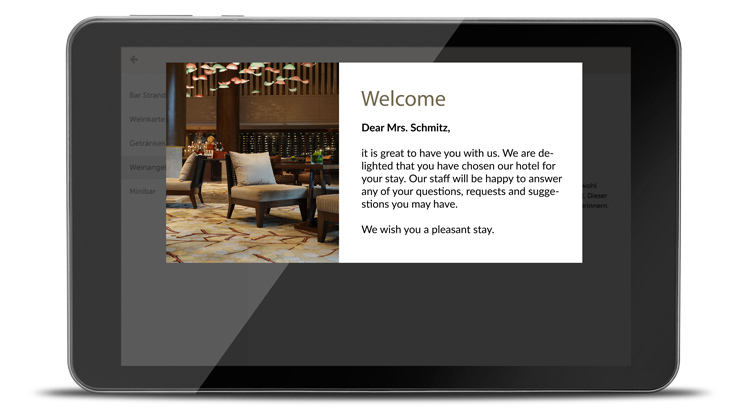 SuitePad enables you to communicate with your guests wherever they are – in their room or at other guest hotspots around the hotel. 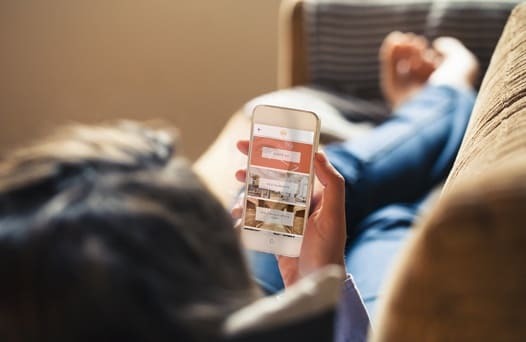 Enable your guests to book hotel services such as room service, wellness appointments or sightseeing tours directly from their room. Get your hotel shop involved by selling souvenirs or hotel vouchers, or allow your guests to book their next stay – without any third-party commissions. Generate additional revenue through partner advertising, such as restaurants, shops, hire-car services and tourism associations. 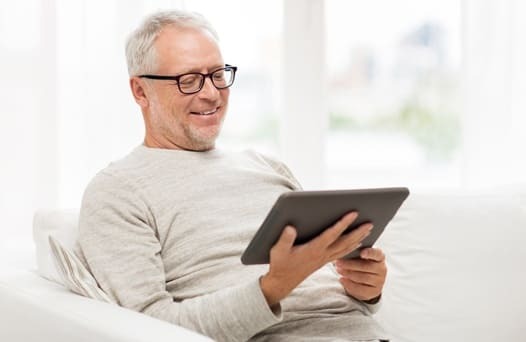 Save yourself time and money associated with updating your guest directory and equipping guest rooms with a telephone, magazines or television. Avoid tedious co-ordination processes, and make sure your message reaches the guest or relevant staff member swiftly. Give your guests the option of saying no to daily cleaning, enabling you to reduce your staffing costs. 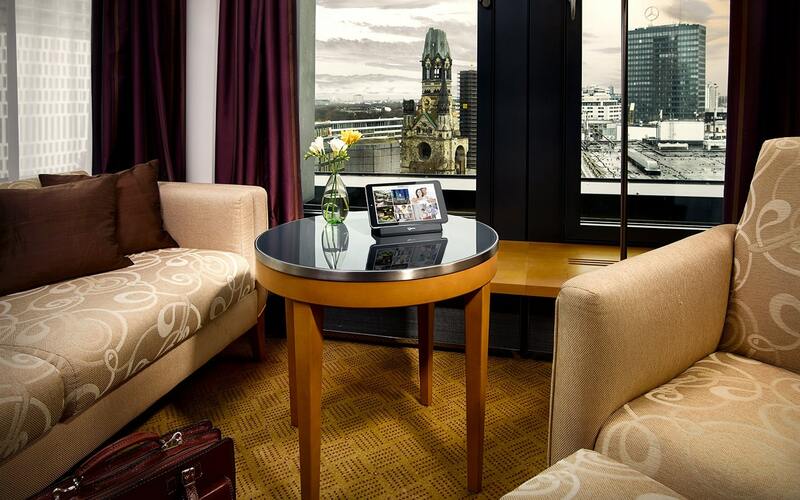 The digital communication and entertainment channel for hotel rooms. Got questions or want a no-obligation quote? Then contact us and we’ll get in touch with you.